On June 21, WKCF in partnership with the Finnup Foundation and the Finney County United Way offered a nonprofit capacity building workshop for local nonprofits. 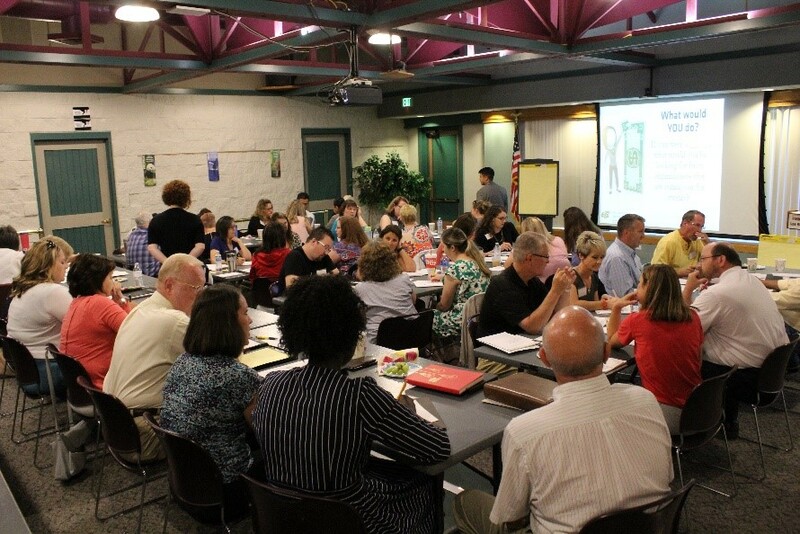 Forty-four people from thirty-five area organizations participated in the workshop facilitated by Wichita State University’s Community Engagement Institute. The topic of the workshop which was determined by a brief assessment of local nonprofit organizations – was fund development. Participants learned a variety of strategies for grant writing, fundraising and strategic planning that could be easily implemented in their own organization. Participants were unanimous in their praise of the presenters and the timeliness of the workshop. For the host-organizations, the success of the workshop was an indicator of the importance of education for nonprofit organizations. WKCF, Finnup Foundation and Finney County United Way are currently exploring opportunities for offering a follow-up workshop early next year. Workshop participants gathered at the Finnup Center for Conservation Education on June 21st.